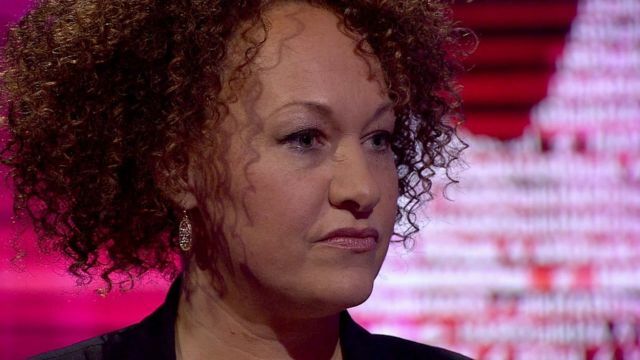 Dolezal: 'I identify as black' Jump to media player Rachel Dolezal, a US race activist, says she "identifies as black" following claims from her parents that she is actually Caucasian. 'Rachel Dolezal needs therapy' Jump to media player Ruthanne and Larry Dolezal, the parents of US civil rights worker Rachel Dolezal, have urged their daughter to seek help for ''personal identity issues''. Black or white? Who is Rachel Dolezal? Jump to media player A row has broken out in the US as to whether civil rights activist Rachel Dolezal, who says she is African-American, is in fact white. Rachel Dolezal's fractured family Jump to media player Rachel Dolezal was a white girl raised in Montana who became the black leader of the Spokane NAACP. What happened in between is still not fully understood. Rachel Dolezal shot to fame last year as the prominent civil rights activist accused of lying about her racial identity. She identified herself as black but it was revealed she was the child of white parents. Now, nearly one year on, she tells HARDtalk's Stephen Sackur how her life has changed and reflects back on the media storm of June 2015 that changed her life for ever. This programme is part of the BBC's Identity season. Learn more about the season or join the discussion on Twitter using the hashtag #BBCIdentity. You can see the interview in full on HARDtalk on Wednesday 27 April 2016 at these times on BBC World News and the BBC News Channel. You can also watch the programme after transmission on BBCiPlayer (UK only). Watch more clips at HARDtalk's website.